Israeli soldiers stationed near a Qalqiliya-area village prevented students from reaching school on Sunday morning, a local official said. 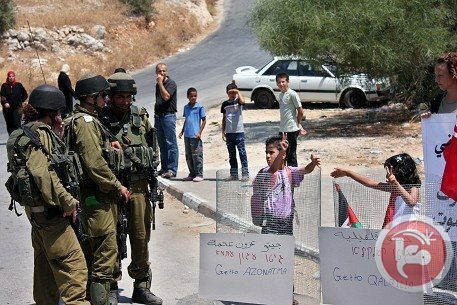 Israeli soldiers stationed at the checkpoint at the entrance to Azzun Atma village in the northern West Bank prevented students from neighboring Beit Amin village from attending their school inside Azzun Atma, chairman of Beit Amin village council Taqi Omar told Ma'an. He said that on Sunday morning students had left for school in Azzun Atma like on any other day, but Israeli soldiers stationed at the entrance to the village prevented the male students from passing, even as they allowed the female students to go. Omar added that they had informed the education directorate in Qalqiliya as well as the Palestinian liaison of the incident. Although Azzun Atma and Beit Amin are located directly next to each other, the Israeli settlement of Sha'are Tiqwa was built on a small hill between them, thus cutting the villages off from each other. Azzun al-Atma is encircled by Israeli settlements and restricted zones, much of which are on land confiscated from local farmers. However, the school for Beit Amin students is located inside Azzun Atma, forcing local students to pass through the checkpoint in order to attend. Palestinian Authority officials have decided to keep all government institutions and schools closed again on Sunday as the West Bank struggles to battle historic snowfall and record low temperatures. The PA Information Office said in a statement on Saturday that in order to "ensure the safety of citizens," all state institutions besides hospital emergency units and the civil defense would remain closed again on Sunday. 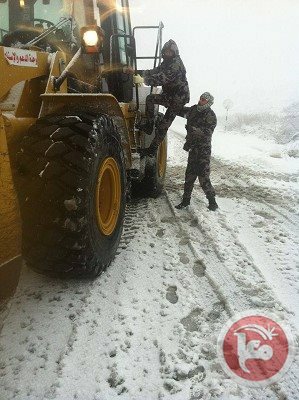 Earlier on Saturday, civil defense forces public relations director Luay Bani Odeh appealed to citizens not to leave their homes in the West Bank as authorities sought to improve road conditions. 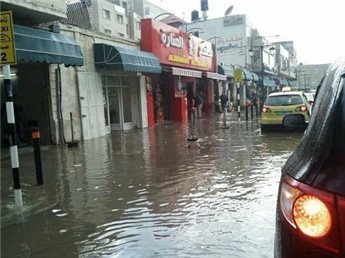 The Palestinian Authority Ministry of Education closed schools in several districts across the West Bank on Wednesday after heavy rainfall overnight. Abdul-Hakim Abu Jamous, a spokesman for the ministry of education, told Ma'an Tuesday that the ministry's local offices were authorized to take decisions to close schools in their districts. A snowstorm is expected to hit Palestine on Thursday and Friday, according to the Palestinian meteorological department. Snow is expected in areas 800 meters above Sea Level. Police and civil defense services, as well as municipalities and the ministries of agriculture, health and public works, announced a state of emergency ahead of the storm. A spokesperson for the Palestinian civil defense services, Luay Bani Audah, confirmed to Ma'an that all preparations have been completed, and civil defense centers across the West Bank have received additional equipment expected to be needed for emergencies. Police forces have set up emergency operation rooms, public relations officer Mansour Khzeimiya told Ma'an, and additional traffic police have deployed across the West Bank. Gaza Education Ministry has signed an agreement with Islamic Relief to build five new schools across Gaza Strip equipped with solar power at a total cost of approximately six million dollars donated by Kuwait Fund for Arab Economic Development to support the Palestinian people in cooperation with the Islamic Development Bank - Jeddah. Representatives from Education Ministry topped by Dr. Anwar Buraawi, Assistant Undersecretary for Administrative Affairs, and representatives from the Islamic Relief Foundation have attended the signing ceremony. The schools are expected to be built in different districts of the besieged Strip. Two primary and secondary schools are scheduled to be built west of the Strip, while two other secondary schools are planned to be built in central Gaza. 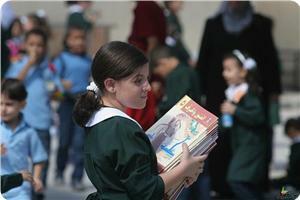 In addition, a primary school is going to be built in Rafah. The new schools are scheduled to open classes in December 2014; however the acute shortage of building materials may hinder their construction timetable. Buraawi stressed the ministry's keenness to build the new schools despite all obstacles caused by the Israeli continued siege on the Strip. More than 4,440 students would benefit from the project that will ease the overcrowded classrooms in Gaza schools, he continued. Union of Palestinian teachers, working in the government schools in the West Bank, decided to strike starting from Saturday until next Tuesday to protest low salaries. The Union said in a press statement that the mass strike will continue for Saturday, Sunday, Monday, and Tuesday, and that the teachers and staff at the ministry and directorates will be leaving their workplaces at eleven. 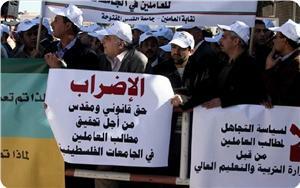 It added that a mass sit-in will take place on Tuesday in front of the Council of Ministers starting from 9:00 a.m. The Union said "A meeting was held yesterday evening with the government but did not result in any change in the government's position concerning including the employees in the previous agreement." It urged in its statement the government of Rami Hamdallah to meet their fair demands as soon as possible, "so that stability would return to the educational process." 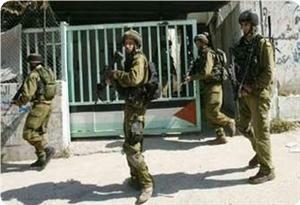 Large numbers of Israeli occupation forces (IOF) raided Seelat Al-Harthiya village, west of Jenin, on Monday morning and fired teargas and sound bombs at a school. Local sources said that dozens of students in the secondary school along with teachers and citizens were treated for gas inhalation. They said that the students and citizens clashed with the soldiers and threw stones at them while the soldiers opened heavy gunfire to disperse the angry crowds. 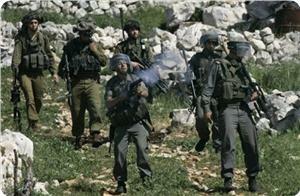 The soldiers also set up a roadblock at the entrance to the village and provoked passing citizens, the sources said. Students in Gaza appealed to the international community to immediately intervene to save their school year that is threatened due to the continued power outages after the shutdown of Gaza’s power plant. The operation of the Gaza power plant was totally stopped due to the lack of fuel and the Gaza Electricity Distribution Company (GEDCO) was forced to increase the hours of power outages which may last up to 18 hours daily. The students called on the international community to help them and put an end to the power crisis. The center said in a statement: "Educational facilities in universities and educational institutions are suffering serious disorder, which led to the inactivity of many educational laboratories and the postponement of some educational assignments due to electricity shortage and lack of alternative power sources."